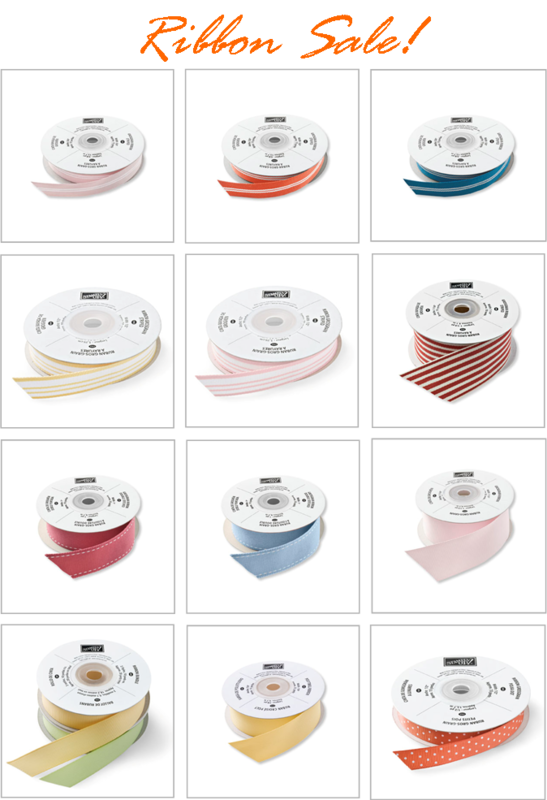 The Serene Stamper: Ribbon Sale! If you're one of my customers that shops through my online store then you probably already know about the huge savings on my clearance rack. If you never checked out my online deals, then you will want to definitely go there as soon as possible! At the Clearance Rack you can get great products at amazing deals, but only while supplies last! This is available through my online store only, and all sales of discontinued items are final. Twelve spools of Stampin' Up! ribbon. 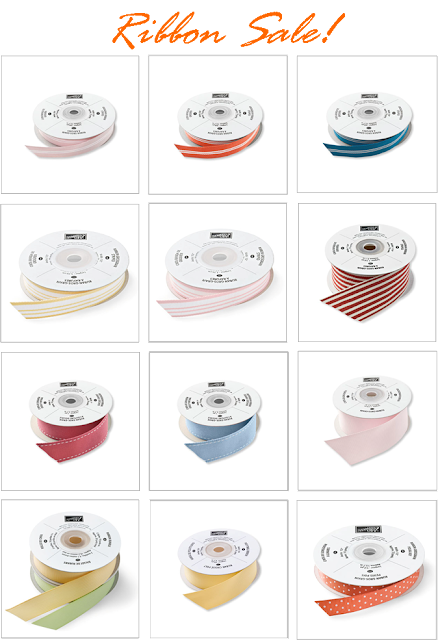 There's currently a FABULOUS Ribbon Sale so hurry and get yours while supplies last! Click HERE to go to my Online Store - you'll see the Clearance Rack link on the left side of the page. Remember, for every $60 you spend, you'll earn a FREE Sale-a-Bration stamp set! And with a min. of $200 you'll receive Hostess Benefits (free Level One Hostess Stamp set AND an extra $20 spending spree) as well as THREE Sale-a-Bration stamp sets! How exciting is THAT? !